Based on real Chicago ghost stories, this multimedia performance asks what–and who– is haunting Chicago. An elevator operator named Jorge doesn’t know he’s dead. A passive aggressive ghost defends his territory at the corner of Division and Western. A mysterious pattern of red lined maps chokes the city into decades-long segregation. 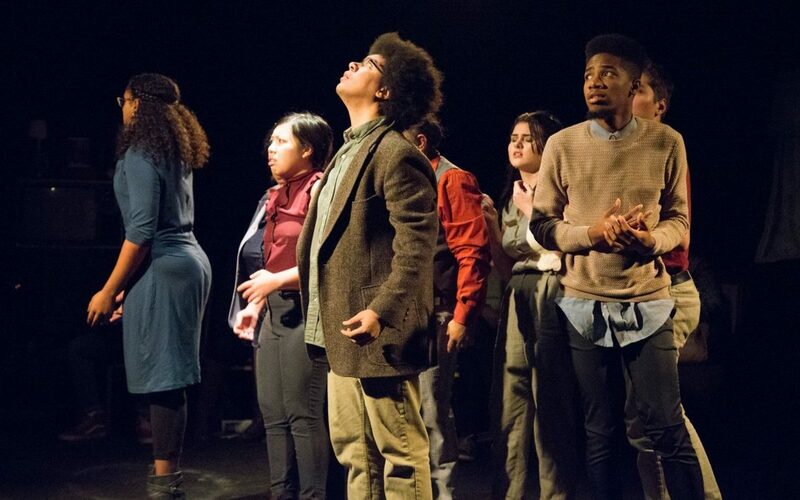 In 100 Hauntings, created by an intergenerational ensemble of performers, comedians, writers and community organizers, Free Street asks who and what is haunting Chicago.